Soutien - Location. Coût: 1. 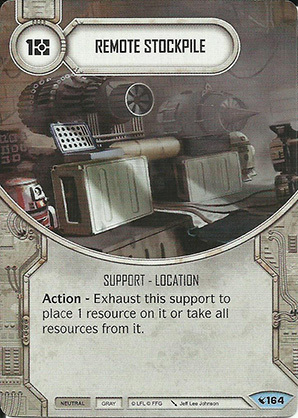 Action - Exhaust this support to place 1 resource on it or take all resources from it.